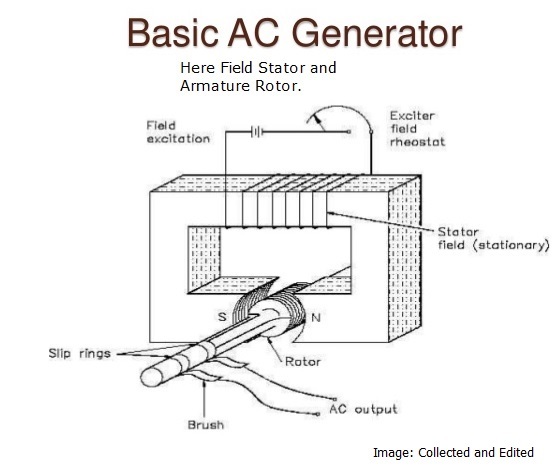 AC Generator 30 Most Important MCQ for EEE job interview. 2) If an alternator winding has a fractional pitch of 5/6, the coil span is…..degrees. 9) At lagging load , armature reaction in an alternator is. 16) The load sharing between two steam driven alternator operating in parallel may be adjusted by varying the. 19) Which option is wrong for AC Generator? 20) Can d.c generator converted into an alternator? 21) The winding of a 4-pole alternator having 36 slots and a coil span of 1 to 8 is short-pitched by ..degrees. D. its power factor would be decreased. 27) Which alternator are more suitable for high-speed system? A. number of poles and synchronous speed. B. number of poles and rotor speed. D. independent of any factors.